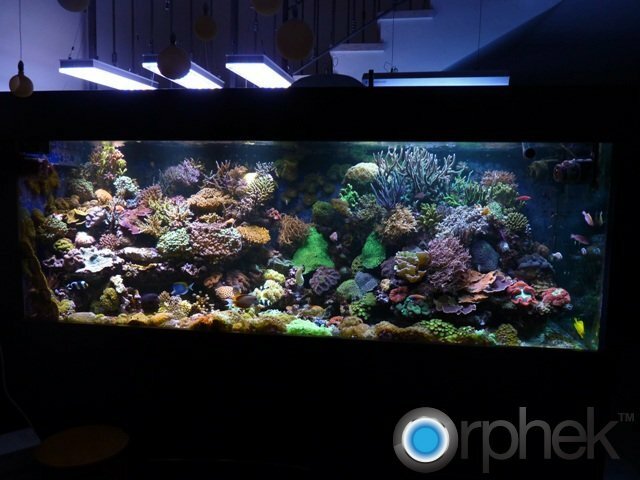 When upgrading your lighting to an Orphek high PAR/PUR LED lighting system, a photo-acclimation period may be necessary for your corals depending on your previous lighting technology and/or the light spectrum your previous lighting system emitted. 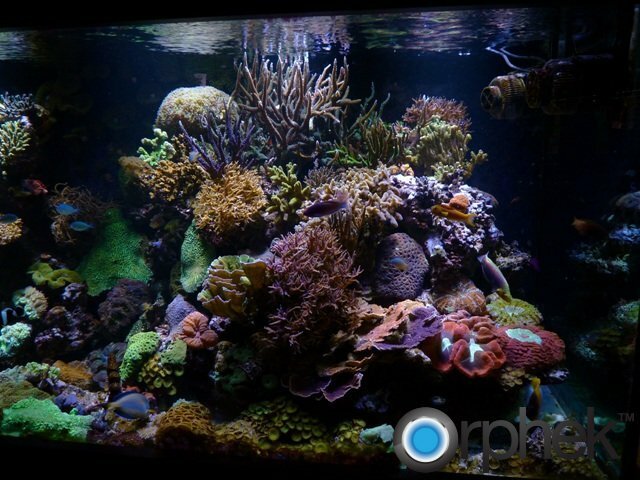 Most corals are photoadaptive and will adapt to different lighting conditions providing it is within the parameters they require. 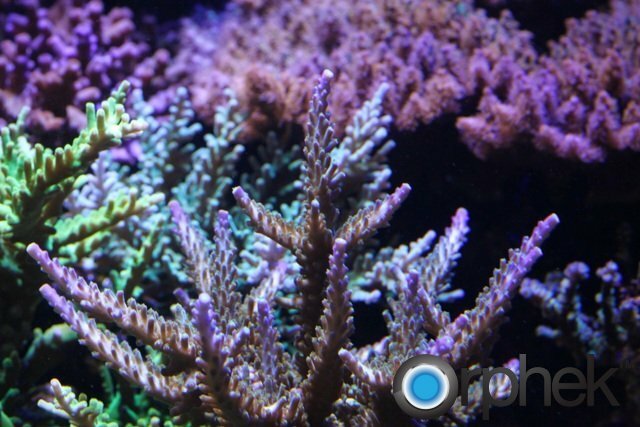 Corals that came from intensely lit areas on the reef or aquariums furnished with a similar light source may change their color due to UV reflective pigments they have expelled which causes them to change to a darker color. The first reaction by aquarists is that the corals are declining in health but this may not necessarily be true. The change of color may be caused by an increase of zooxanthellae or that more zooxanthellae algae are visible in the absence of the UV reflective pigments. Corals self adjust these pigments depending on the amount of UV rays that are present. Whether this change is negative depends on whether the corals light needs are being met by the change in light intensity or spectrum. May corals can survive in lighting that is less intense than what they are accustomed to in nature. This also holds true when corals are going from a less intense lighting environment to a more intense lighting environment. This is called photoadaption. When changing to a different lighting source, some changes that corals may exhibit are often mistaken as improved health signs and this often occurs with LPS corals from the Caryophylliid family. They may show signs of swelling and exaggerated polyp extension where in fact they are increasing their surface size to gather more light. This can occur in systems with insufficient light for the corals needs so ensure that you carefully choose the proper lighting system for your corals needs. The best way to measure stony coral growth is by calcification or skeleton growth. 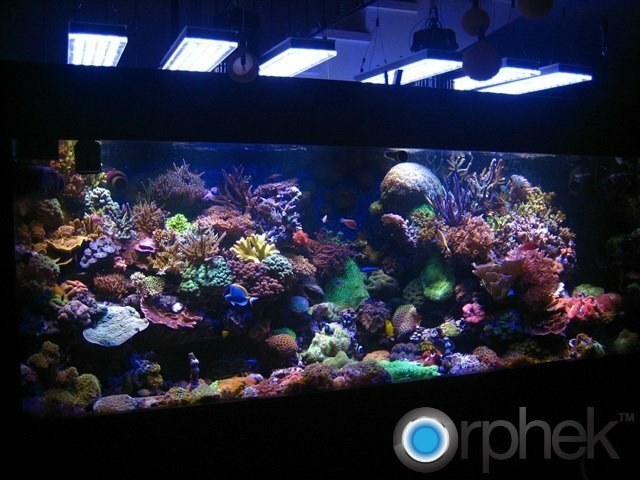 Under proper lighting, corals will usually have a dense rich color and not over exaggerated polyp extension. There are several ways to photoacclimate your coral; the easiest way is with systems that incorporate dimming technology such as our Nilus Pendant. With the Nilus you can start with the photoperiod you desire but with 20% intensity. Each day the intensity can be increased by 5% until you reach your desired output which will generally be 100%. This final setting will all depend on the types of corals you are keeping. Most reef aquarists will use full intensity and locate their corals in the system relative to their light requirements. If using our PR156 which includes two programmable digital timers. The photoperiod programmed will depend on the depth of your system. In aquariums that18 inches or less in depth, a 30 minute on and 30 minute off program is a good choice to start with. Systems deeper than18 inches but not over24 inches can start with 45 minutes on and 15 minutes off. The timers can then be programmed daily to increase on time by 5 minutes lowering off time by 5 minutes until your desired goal is reached. Both of the above suggestions are desirable if you are working or away from home for extended periods of time. Without timers or the capability of dimming, you can photoacclimate by the use of various sizes of inexpensive fiberglass window screen. Cut the window screen a little larger than your tank size and secure to the tank with appropriate tape or use of aquarium magnets. Start with a fine screen such as the screen used on storm doors and allow three or four days before changing to the next coarser screen size using the same time period. After the acclimation is completed with three different screen sizes of increasing coarseness, your corals should be photoacclimated. Some aquarists may find the above method undesirable or cumbersome, or if all the screen sizes are not available in your area. If so, you can manually duplicate the PR156 method. Another method which applies only if you are going to suspend your lighting above the aquarium is that you can raise the pendant to lower the intensity of light entering the aquarium and gradually lower the pendant every two days. If using the Nilus, PR156, or one of the DIF pendants, the lens or lenses can be removed to lower the PAR value. Care must be taken here to ensure there is no salt water spray that can get into the LEDs or multichip. Whether photoacclimation is necessary will all depend on the previous lighting technology used. 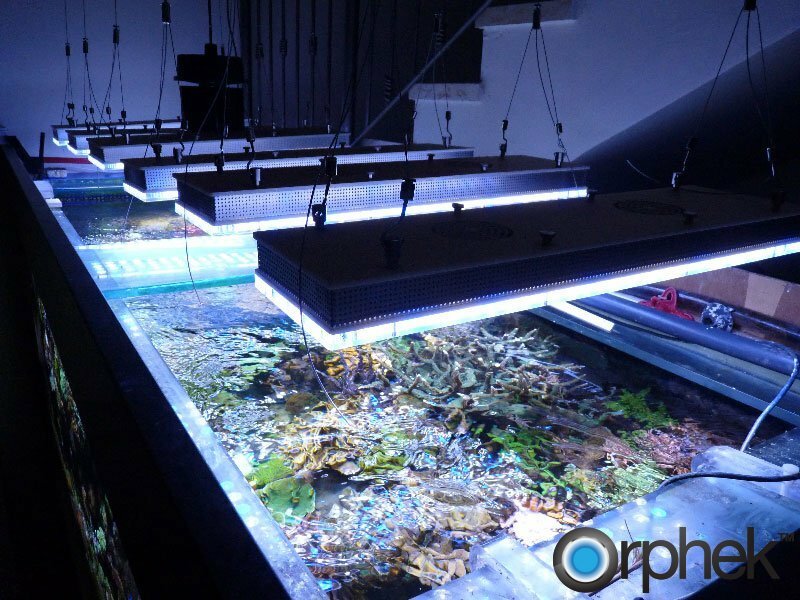 Aquarists switching from metal halide to a high PAR/PUR LED system such as Orphek’s, a photoacclimation period may not be necessary. During the photoacclimation period it is recommended that calcium and dKH levels be monitored as the increase in PAR/PUR levels may cause an increase biological activity.